Timeshares are vacation ownership in a resort, a concept that has been around for the past 50 years. There are about 1,590 Time Share Resorts in the United States with most resorts located in Florida, California and Hawaii. It appears there are about 5 million owners in the United States. This implies there are on the average 3,144 owners for each resort. Typically owners purchased their timeshare as an investment and a cost effective alternative to hotels. Some owners love their timeshare and want to pass it on to their loved ones. Other owners loathe their timeshare and want to give it away to avoid annual maintenance costs and to cut their losses. Love it or loathe it a timeshare owner at some point in time will have to deal with how they own the time share and the consequences of that ownership. The consequences depend on the type of timeshare. Timeshare Estate ownerships are granted by deed as in any other real estate transaction. Change in title in a Timeshare Estate is done with a deed transfer. Timeshare Use ownerships are granted by contract and the owner has a license or membership interest in the time share resort. An owner by Timeshare Use does not receive any ownership interest in real property. Change in title for a Timeshare Use is done with the timeshare resort management company. Timeshare Estates and Timeshare Uses are granted as either: single-site timeshares, multisite timeshares or point-system timeshares. Single-site timeshares are fairly straight forward. The owner is granted a fractional ownership interest in a single time share resort. There may be an exchange program associated with time resort so the owner can exchange times with other owners, but this is separate from the actual ownership. The multisite timeshare takes the single-site timeshare concept and adds access to sister time share resorts through a somewhat complex reservation system. Another variation to the multisite timeshare is no ownership at all in a specific timeshare resort, but access during a certain time period to several timeshare resorts under a contract that defines how the time period and location is determined. A final variation to time share ownership is the point system. Instead of a time period of ownership, the owner is granted a fixed number of points out of total points of ownership by all timeshare owners. The more points the more value and more access. The points granted appear on the sales contract and should appear on the deed. 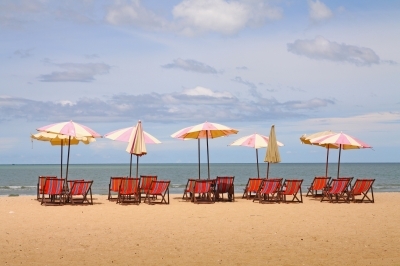 Owners who want their loved ones to inherit the timeshare need to plan ahead to avoid probate. Ideally, ownership should be in the name of trust. But if the owner does not have a trust, joint tenancy is an option. To create a joint tenancy, the owner adds another person on title as a joint tenant. The person added is the heir to receive the time-share on the death of the original owner. In joint tenancy the person who dies has her or her ownership interest disappear and the survivor is the sole owner. Normally adding a joint tenant in this manner is not a good idea. The joint tenant’s creditors and spouse have access to the property and the cooperation of the new joint tenant is needed for any sales or borrowing. As a result, the owner gives up control. But because of timeshare’s limited marketability, low dollar value and lack of lenders, the risk of loss may be outweighed by the ease of transfer. If an owner is considering joint tenancy, this is definitely a time to first consult with legal counsel. Owners who despise their timeshare may want to find a greater fool to assume ownership and give away the timeshare. The best method is with a quit claim deed. In a quit claim deed the grantor is not making any promises on proper title, amount of debt, outstanding taxes or any other warranty and is just conveying away ownership interest.